You know when you enter a competition on Facebook or Instagram and have to tag a friend, but never actually think that you'll win? Well two months ago, Trevor and I entered a competition on the Pelican Grill & Bar Facebook page, and thought how funny it would be if we actually won. I began salivating over their IG posts praying that we would win their 'lunch for two' competition, but didn't hear anything about the it until a few weeks ago when Trevor woke me up with all these notifications. I did not believe him when he said we had won, but when I checked on Facebook and saw our names, I actually could not believe my eyes. 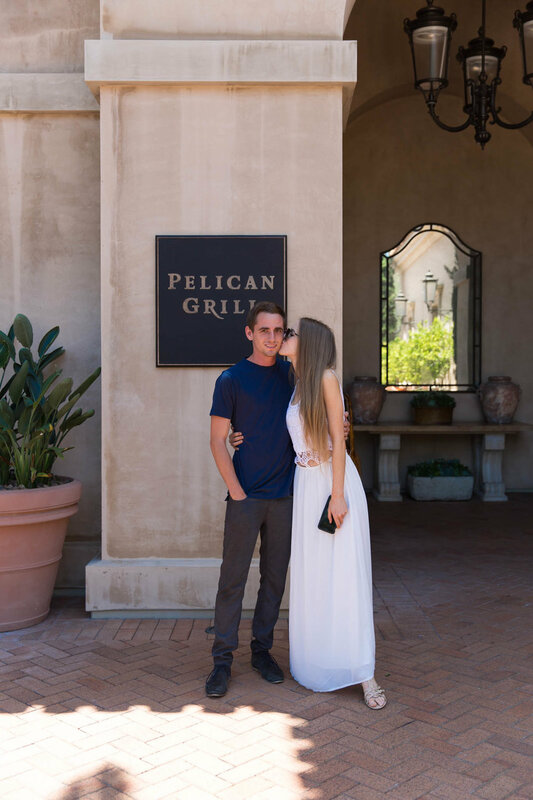 We couldn't believe our luck and couldn't wait to claim our prize so we immediately made a reservation for their Sunday brunch. 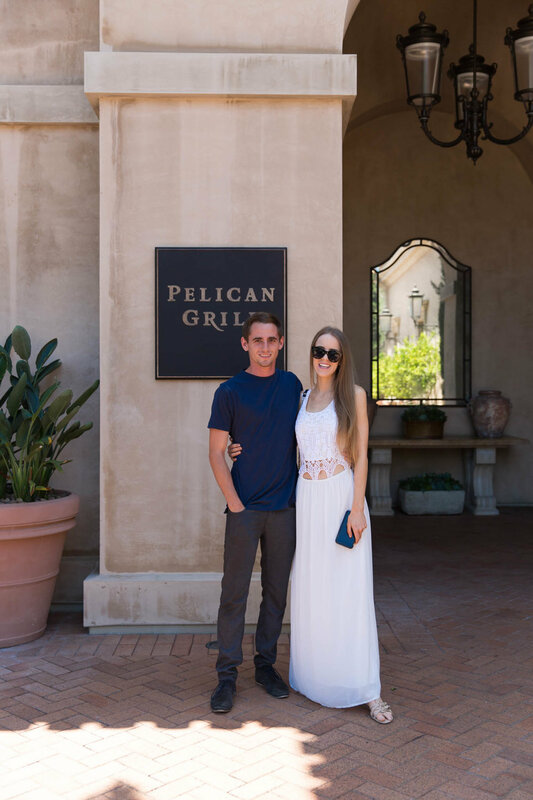 We had dined at Pelican Grill & Bar for dinner once before and couldn't wait to return to try their lavish brunch menu, but before we sat down at our table we explored around the Resort at Pelican Hill. 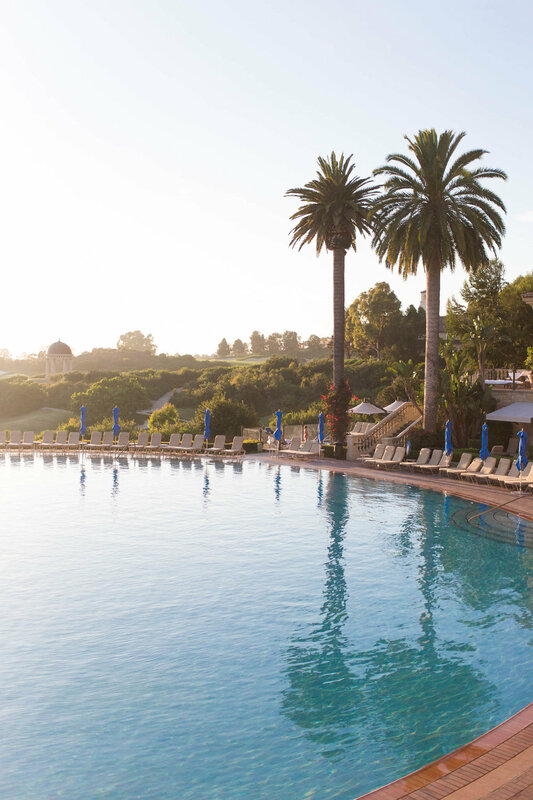 The Resort at Pelican Hill is one of the world’s finest Five-Star, Five-Diamond destinations offering service and luxury like no other, it also features an epic pool and a 36-hole golf course. The pool at the resort is inspired by the timeless curves of Rome’s famed coliseums, and is one of the largest pools in the world. 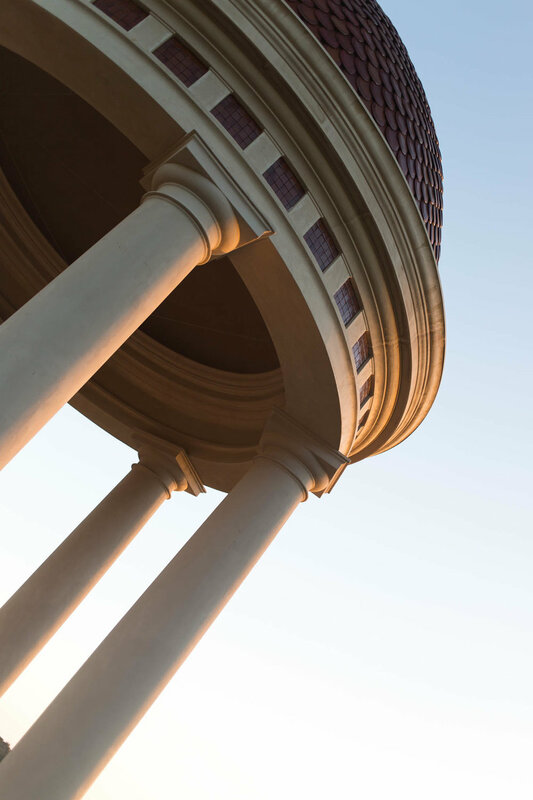 With more than one million hand-cut glass mosaic tiles and 136 feet in diameter, it resembles a precious gem in the midst of the beautiful architecture around the venue. 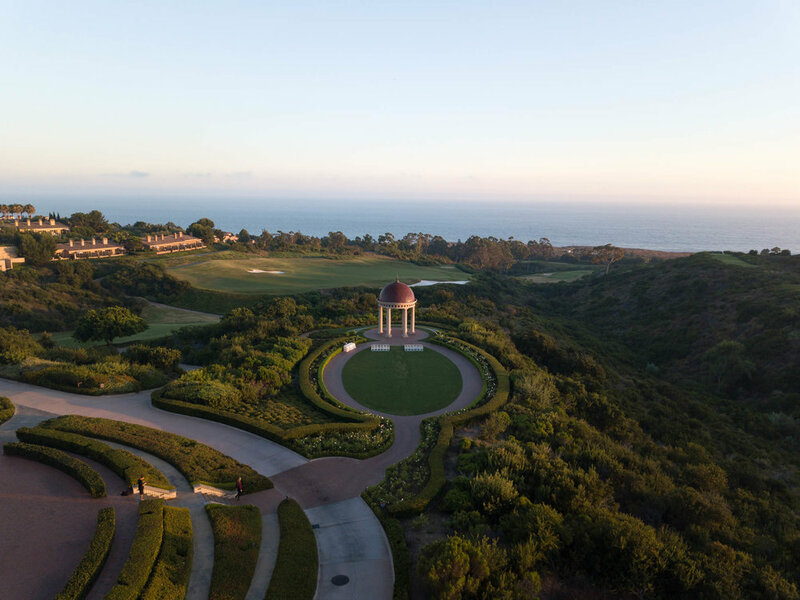 The entire venue is truely beautiful (not to mention the insane cars parked out the front) and offers the most incredible, panoramic vistas of the Californian coastline. After we admired the view and the facade of each building at the resort, we made our way into the restaurant where the lovely staff greeted us in, and took us to our table in the terrace. With no plans for the rest of the day other than editing photos, Trevor and I decided to sit back and enjoy each others company over a mimosa (or 5 🥂🙋🏼) whilst we waited for our food. For starters we ordered the smoked scottish salmon with toasted brioche, which was probably my favourite dish of the day. 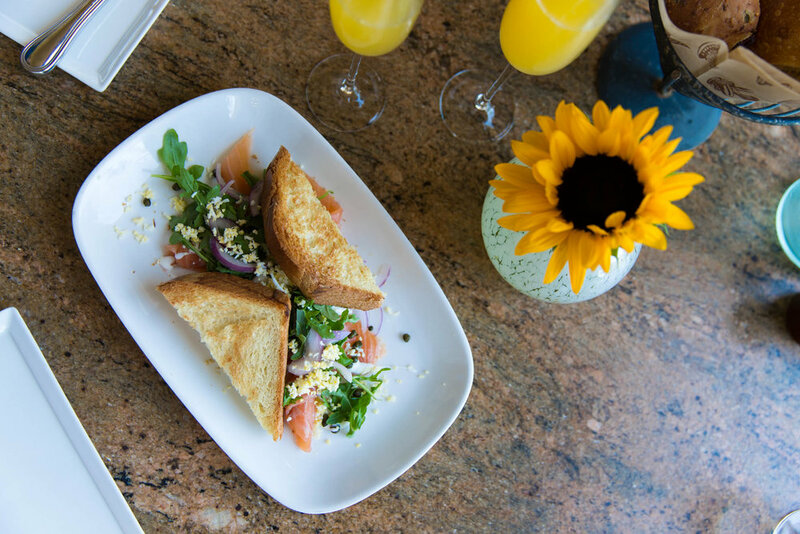 The salmon was so delicious and fresh, and went nicely with the mimosa. 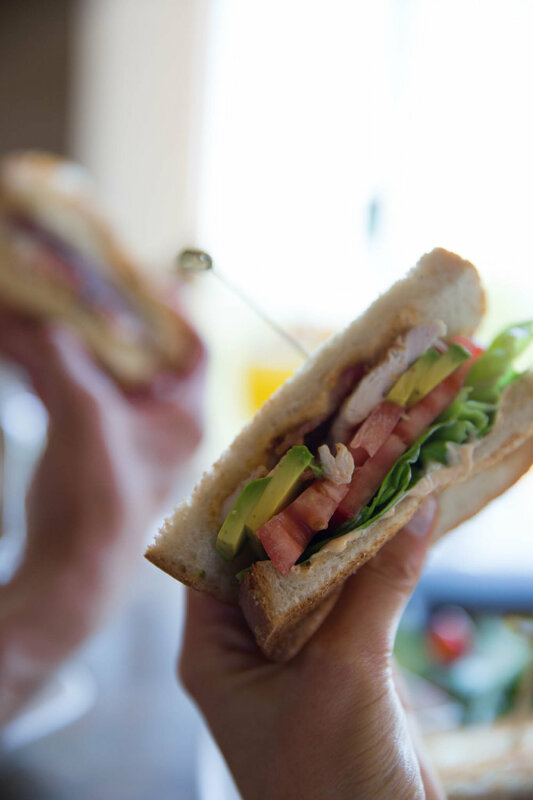 After our starters, we ordered the chicken club, and ahi tuna burger which we both cut in half and shared. We also got a side of salad and some yummy sweet potato fries. Since the portion sizes were rather generous and we ate a lot of bread, we were soooo full, so after we ate we decided to go for another walk around the resort and golf course. It was such a nice Summer's day and incredibly peaceful at the resort that we felt as though we were on holidays in Italy. Even though this place is just down the road from our apartment, it truely felt as though we had hopped on a plane to another country. 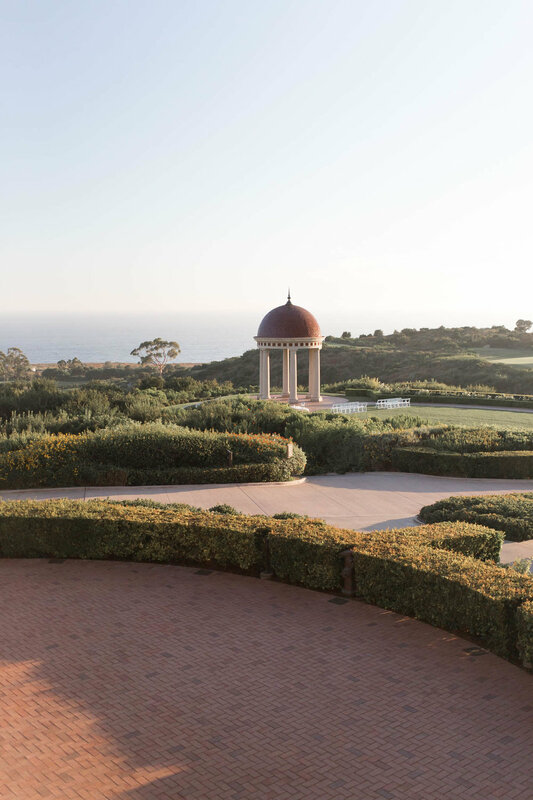 So I think whenever we need a quick escape from our busy work lives, we will definitely be going back to the resort at Pelican Hill. 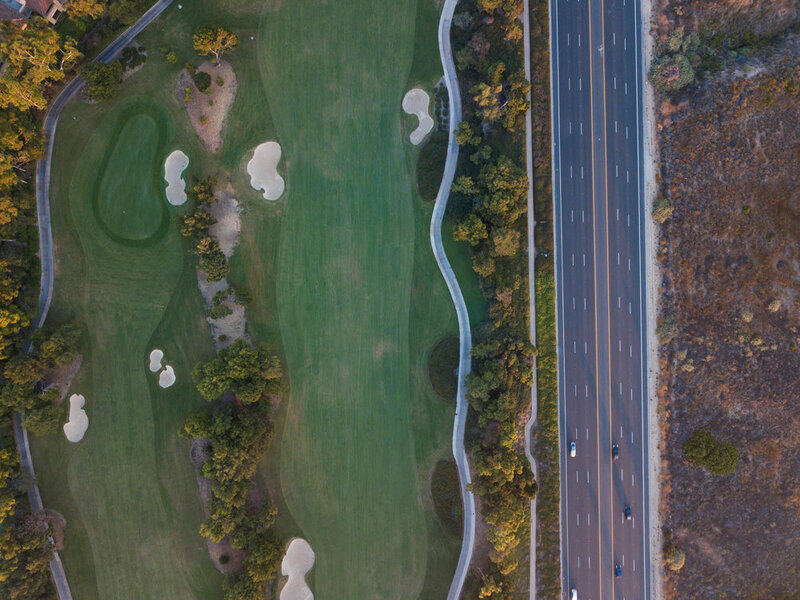 With over 200 spacious bungalow guest rooms and suites, as well as 128 villas available to call this place your new home away from home, hopefully next time we can spend a night or two here and show you more of what the resort has to offer!